As of April 9, 2019, with many sudden illnesses in the population of Williamsburg, Brooklyn, an emergency measles vaccine mandate is being pushed by Mayor de Blasio, fronting for the New York Department of Health (DOH) and CDC. Those not vaccinated within 48 hours are subject to $1000 fines. The science behind this mandate omits environmental factors. The mandate thus serves, inadvertently or not, as a cover story for environmental causation. Suspicions rise. Perhaps the scary virus and vaccine drama serves mainly to protect industry. It is reasonable to look at the environment. Chen (2017), a population study, shows a general association of measles with air pollution. Effective policies to reduce air pollution may also reduce measles incidence. 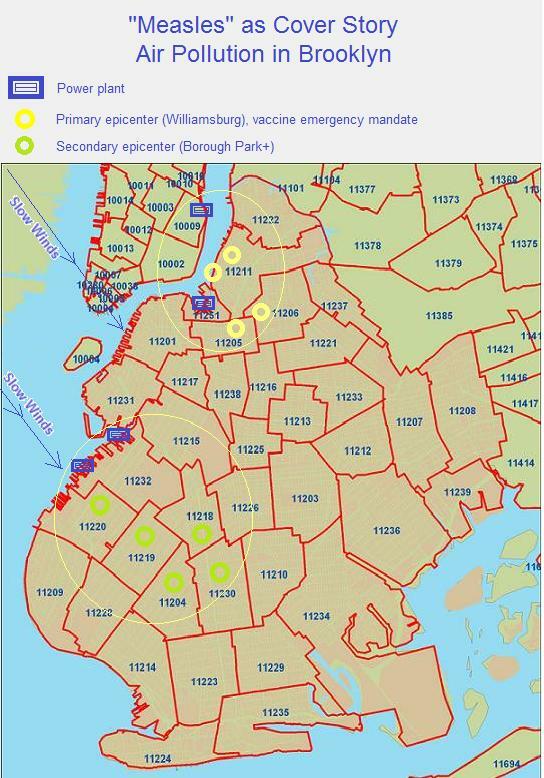 December 7th, 2018, New York Department of Health (DOH) banned unvaccinated children from school in these zip codes, all in Brooklyn. 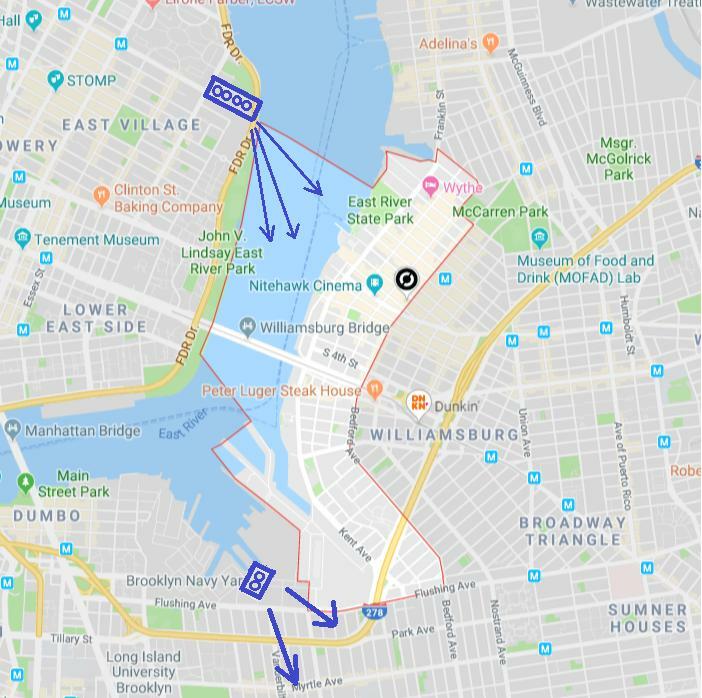 There are two neighborhoods, Williamsburg and Borough Park. Williamsburg has about six times more cases than Borough Park. 11205, 11206, 11211, 11249 (Williamsburg). 11204, 11218, 11219, 11230 (Borough Park), and 11220. The ban did not slow the raging epidemic. 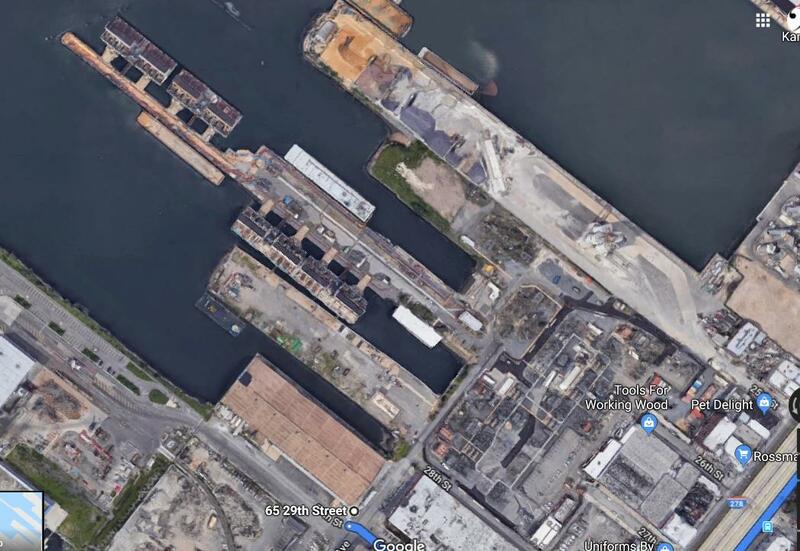 All Brooklyn power plants are shown below, and one Manhattan power plant. All are near or upwind or central to the epidemics. What a coincidence. Measles is a childhood disease, claimed to be caused by a virus. However, children are very susceptible to air pollution, which can cause the symptoms of so-called "measles". Pollution epidemics can be interpreted as infection epidemics. This protects polluting industries. It profits The Medical Industrial Complex. Epidemic emergencies deny democratic conversation. These epidemics are evidence that POWER PLANTS IN A DEAD WIND are a bad idea, especially when their stacks are not high enough to put the exhaust above apartment buildings. Weather inversions and low pressure phenomena can actually drive stack emissions downward. This might explain why people feel sickness before a rain. Most of the power plants have converted to "natural gas" (fracking source). 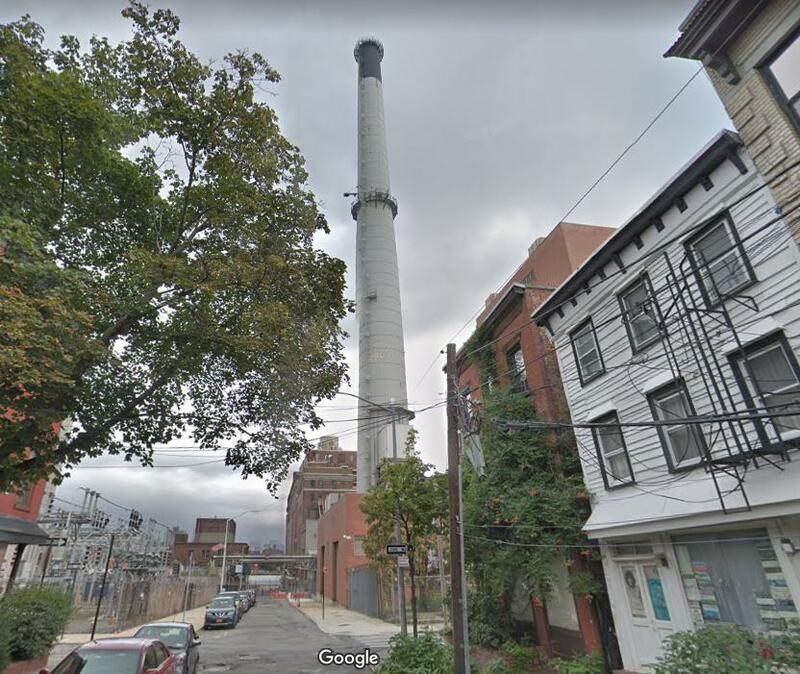 The stack exhaust can appear clean (transparent), but it is extremely poisonous, carrying carbon monoxide, nitrogen compounds, formaldehyde, poly-aromatic-hydrocarbons, mercury, volatile aromatic compounds (VOC) and other toxic compounds. Fracking gas is likely contaminated with fracking solvents. The measles epidemics are evidence that fracking natural gas could be more toxic than traditional gas sources or fuel oil or even coal. New York City has had 285 cases since October 2018, virtually all of them in [Williamsburg] Brooklyn, since the outbreak began. Of those, 229 were reported this year, accounting for nearly half of the 465 cases that have been reported nationwide in 2019. 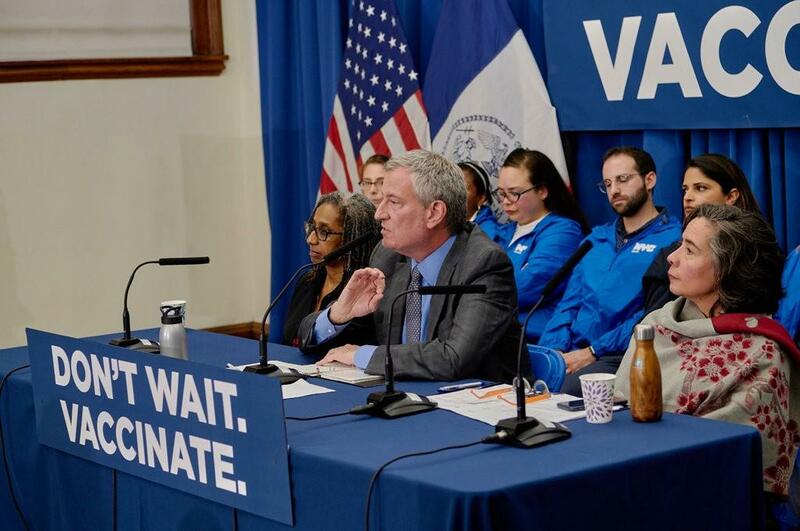 “If people ignore our order,” [de Blasio] added, “We will issue fines.” As part of the declaration, every unvaccinated person living in the ZIP codes 11205, 11206, 11211 and 11249 — regardless of whether they have been exposed to the infection — are required to receive the measles-mumps-rubella vaccine to stymie the outbreak. The unvaccinated cannot be the problem. The concurrent measles epidemic in Rockland County, NY occurred within a thoroughly vaccinated population. Every day, inspectors are looking for the unvaccinated. The symptoms are inflammation and catharsis. These symptoms, in the absence of 24/7 virus/vaccine drama, would be viewed as air or water pollution. Clinicians, as medical soldiers, are innocently misdiagnosing air pollution symptoms as virus-caused measles, thereby protecting industry. Clinicians would defend themselves: "But we also have sophisticated blood tests for measles which we run in a laboratory with modern shiny electronic equipment. Very expensive, lots of LED lights, digital readouts, software automation, and Internet-ready!" However, the results of the blood tests would be just another set of pollution symptoms -- specific to blood characteristics. If their defense is microbiological, then the same critique applies. Whatever they claim to see in their microscopes are just the symptoms of poisoning. Medicine avoids any rigorous and appropriately designed studies that would determine the role of pollution. They seem to be hiding something. The clearest example of such behavior is in the science of fetal ultrasound. Medicine avoids knowing the role that pollution could play. We should assume the role is 100% until they figure that out. The four low stacks of the 14th Street Con Edison electric power plant (Manhattan) are across the East River and directly upwind from the Williamsburg epicenter. A few parts-per-million (ppm) chronic exposure to its exhaust components, such as NOx, can cause a wide variety of debilitating symptoms and death. Data and photo from Wikipedia. Permits denied. Disease epidemics near power plants would make environmental causation just too obvious, too much work to cover up. Four stacks of toxic exhaust from a plant rated at 736 megawatts. That is equivalent to approximately 85,000 automobiles cruising at 40 mph. Wind speed and direction were optimal for the accumulation of high concentrations of power plant exhaust within the Williamsburg epidemic area, especially during the final three days before the emergency mandate declaration. See weather history. The direction arrows point south and southeast, into the epicenter. 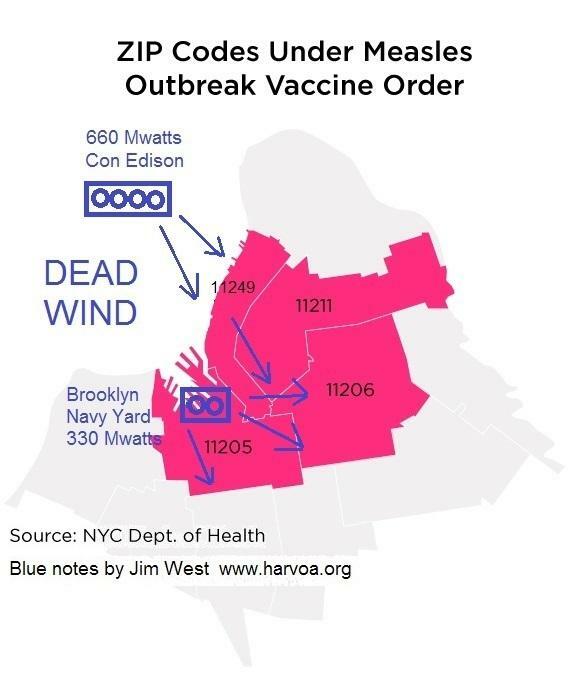 This is also the prevailing wind direction, and thus the long history of measles and influenza in Williamsburg. Wind speed averaged as low as 1 mph, wavering without direction. Low speed means stack pollution is accumulating, concentrating, not blowing away. Normal wind speed averages 8.3 mph for this area. That never happened; the stacks remain short. ...the number of stacks the company agreed to equip with a filtration device. It was one, not all four. With these environmental deficiencies, how is illness diagnosed in the area? "Con-Ed Disease"? "Air Pollution Syndrome"? "Measles", "Influenza", and "Asthma", are the correct answers. Technocracy is cast agleam, its failures hidden by Medicine. 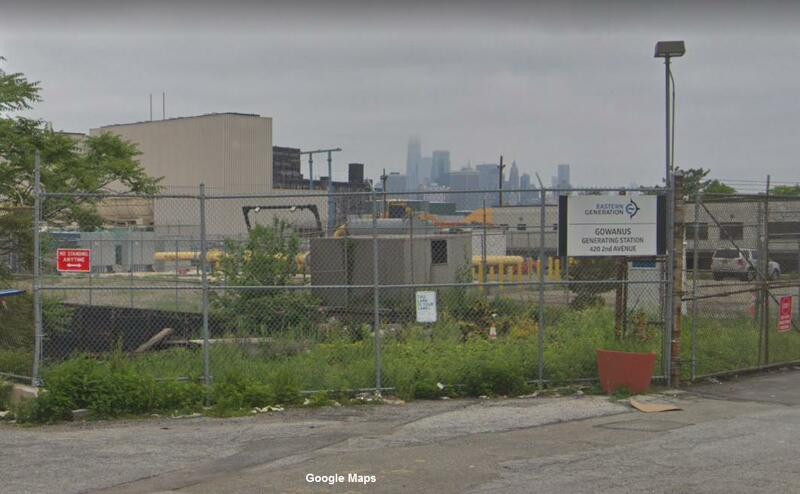 This plant is near the south border of Williamsburg. 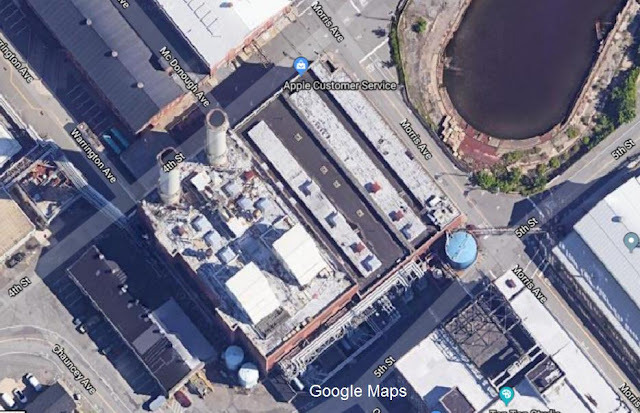 This is less exhaust output compared to the 14th Street power plant, two stacks instead of four, generating 312 megawatts instead of 736 megawatts. 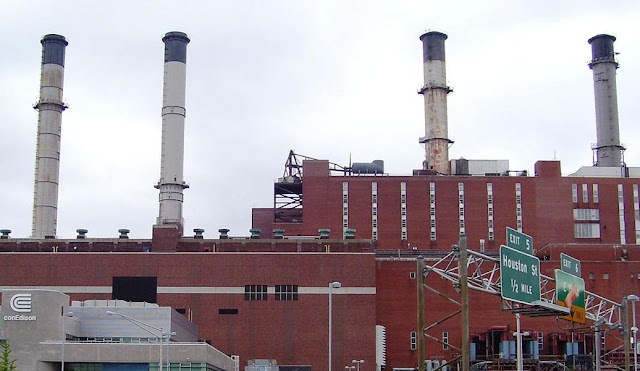 This plant is near the Brooklyn Navy Yard plant, in service by 1970. Running through residential areas are the Brooklyn Queens Expressway, the Manhattan Bridge and the Brooklyn Bridge. It is said that most of the cases are in South Williamsburg, in the Ultra-Orthodox community. This would be the buildings owned by The New York City Housing Authority. One sixth of the epidemic cases in New York are in Borough Park. This contains one of the highest population of Jews outside of Israel, many unvaccinated. Thus the high incidence of unvaccinated Jews with "measles" symptoms. 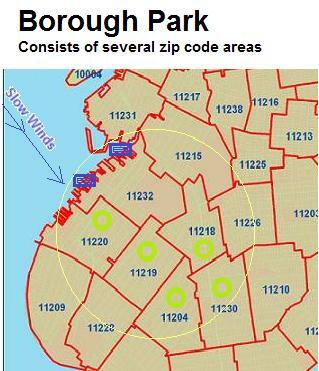 Borough Park consists of zip code areas 11204, 11218, 11219, 11230. I was surprised to see zip code 11232 not listed by the DOH as a measles hot-spot. My medical critique was in danger. 11232 has two power plants on its shore. 11232 is the neighborhood of Green-wood Heights, where in the past, dead birds have often been found and their "Miners' Canary" deaths blamed on West Nile virus, but that is a separate area of criticism. Googling in satellite view, finds that 11232 mostly consists of the huge Green-wood Cemetery. 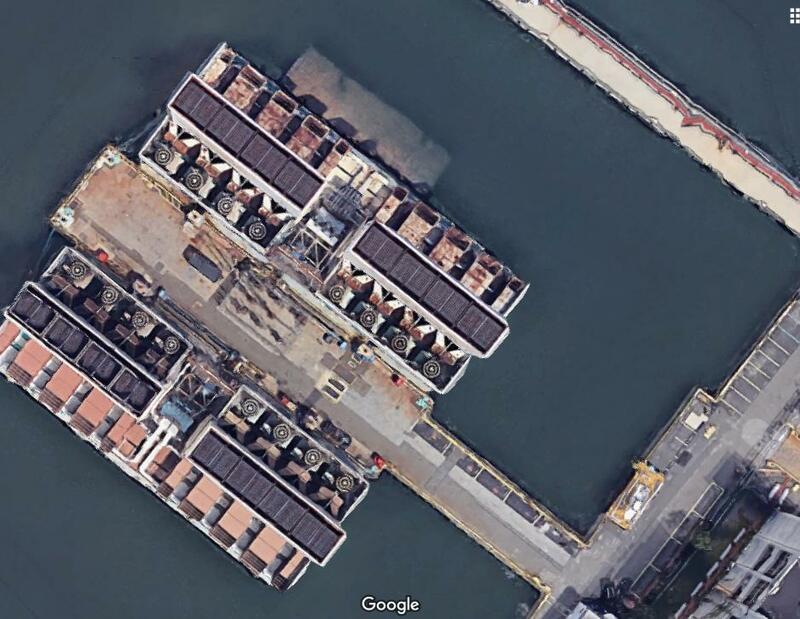 Otherwise, 11232 consists of industrial buildings, with few apartments or houses. Summary: 50% cemetery, 40% industry, 10% residential. 24 hour/day exposure to power plant emissions is unlikely. Two large power plants are near and upwind of Borough Park. They were difficult to locate. Their addresses are generally unavailable. Their names are missing from Google Maps. 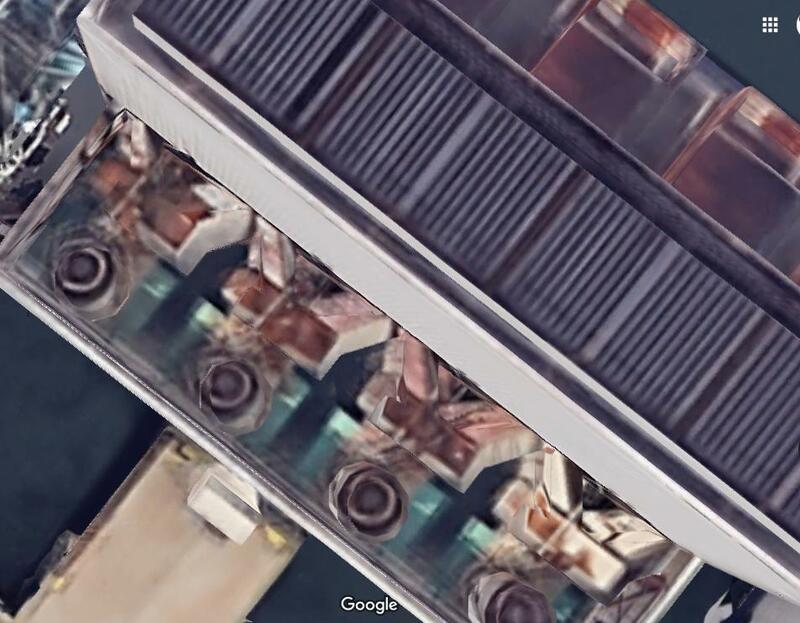 The plants are missing entirely from Google maps because they are technically boats. 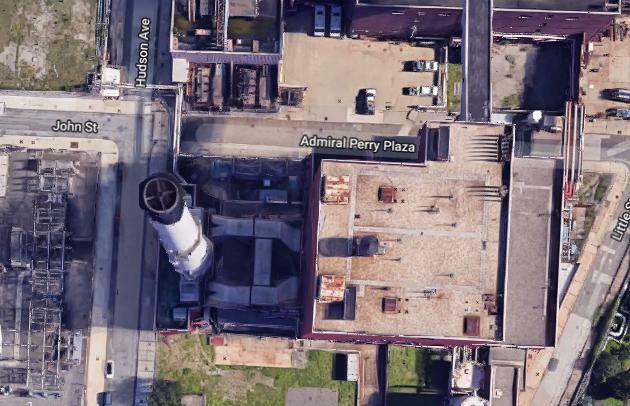 Only in aerial view can map scanning find them. The plants are run by Eastern Generation. A fence sign bans photographs, but Google took most of the photos. 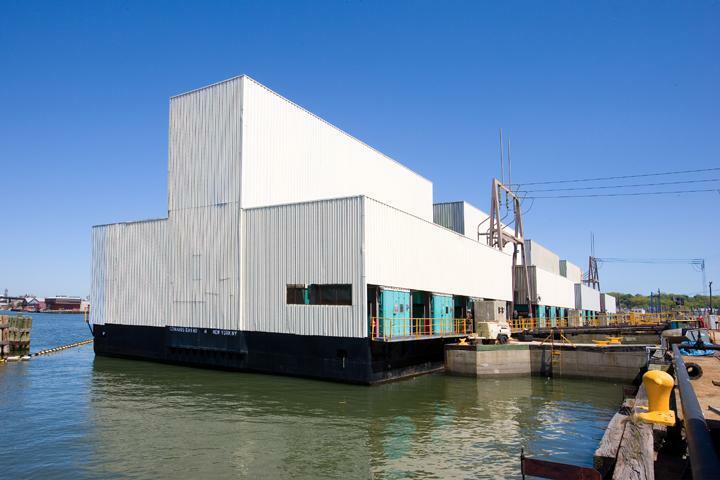 The plants are a newer generation concept, big white boxes, no windows, hidden in plain sight, placed on barges. They have no stacks. The steam is condensed into water and recycled. Turbines or outputs are pointed upward. This is the more northern plant. It generates 811 megawatts, as understood from the Wikipedia list. The photo is from the Eastern Generation website. 8 sections with 2 turbines per section. Turbines with steam condensers. No stacks. Turbines or their outputs are vertical, apparently expected to direct exhaust upward and above the population, but this doesn't seem likely with buildings being higher than the outputs. The higher the exhaust output speed, the less efficient would be the turbines. There is an engineering and economic conflict of interest against human health. 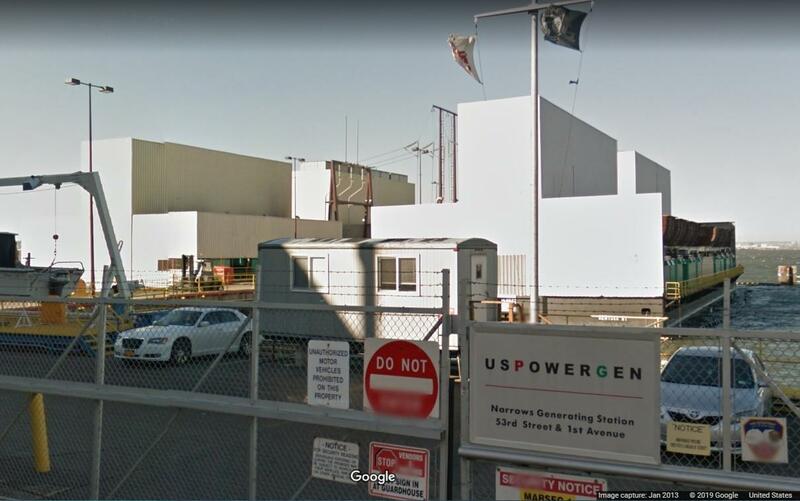 The lower plant on the map, generates 380 megawatts, as derived from the Wikipedia list. This plant is half the size of the Gowanus plant, using the same technology. Measles epidemics are routine for decades in Williamsburg and Borough Park. The following story of epidemics in 2007 is similar to the 2018 and 2019 stories. "Israeli visitors", "Williamsburg", "Borough Park", and "Rockland". This story reflects on 1992. These specific measles epidemics, in these specific localities, could go back to the earliest construction of these power plants, circa 1970. Last year’s outbreak , New York’s largest in 15 years , produced more than two dozen victims. A handful of visitors from Israel, which was in the midst of a months-long outbreak that sickened more than 1,000 people, brought the disease with them and passed it on, mainly to unvaccinated toddlers. 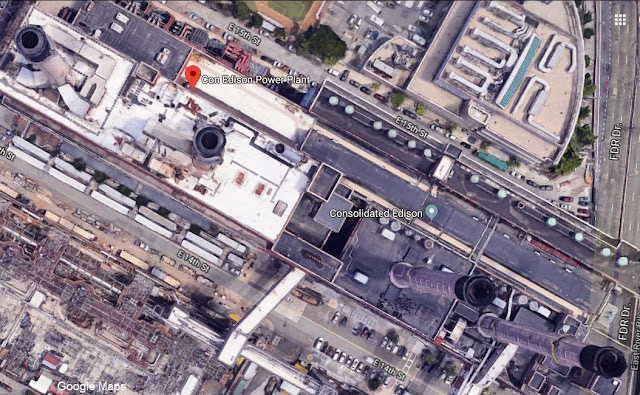 The rash of infections was concentrated in Borough Park, but the scare spread to a Long Island mall and to a wedding hall in Rockland County, north of New York City. How unimaginative are medical industry press release agents. How can it be that these supposedly infectious epidemics are routine for decades but not spreading outward through the Brooklyn population? These epidemics only occur in the vicinity of power plants. During the great H1N1 ("bird flu ") epidemics of 2009, eleven Brooklyn schools were closed by the DOH. Eight of these schools were in Williamsburg. Most of the toxic air pollution chemicals (carbon monoxide, formaldehyde, NOx, etc) can cause "flu" symptoms. Power plant and motor vehicle, gas stove, and boiler exhaust all emit similar chemicals causing "flu" symptoms. Measles initially appears to be flu, before the rash appears. Stove exhaust is often misdiagnosed as virus-flu. [Dolan 1985] The Hasidim and Ultra-Orthodox Jews who were diagnosed with measles, are a traditional culture where women are stay-at-home moms who cook with gas stoves. Gas stoves are rarely properly ventilated. Unventilated stoves are illegal in many states, but not New York. To quell the annual flu epidemics, the Mayor should issue warnings about gas stoves but that will never happen. These environmental hazards are a constant excess, common year-after-year in Williamsburg, contributing to annual flu epidemics, etc. New is possibly the wide-spread use of fracking natural gas. This is burned directly, and used as a base to synthesize gasoline. These products could be contaminated with fracking solvents such as benzene, as their removal would reduce profit. Power plants burn fracking natural gas and sometimes oil. Automobiles burn gasoline. Obvious environmental factors were omitted by the DOH. Therefore, virus causation must be MOOT (i.e., unresolved, debatable). The need for emergency vaccination is therefore also moot. Severe air pollution must be addressed. These critical omissions brings suspicion. Were the DOH to release a list of cases with locations (anonymous), I would expect upper floor apartments to have a higher incidence of disease. Parallel: This was true for the SARS "virus" epidemic in Hong Kong, of which I had published my research, postulating that epidemic as due to China's stack pollution, a high strata. SARS cases were mostly above the 10th floor. I would expect cases more frequent near the BQE and the bridge, as I found in the 2009 St. Francis School flu outbreak (described below). During the West Nile epidemics of 1999, dead crows were first found near expressways and bridges. West Nile is also a flu-like disease. DOH press releases are not providing much detail, as they have in the past. Dates and locations are very general now. I feel that data would never be released to the public, so a citizen task force would need to talk up the concern, converse with fellow citizens, request data under FOIA, or litigate with little chance for success -- unless there was great public concern, where then the court might listen for political reasons, stretch it out over years then come down against environmentalists. To support my pessimism, see the autobiography, "Going Somewhere", written by the environmental scientist, Anthony A. Marino. See Dr. Samuel Milham, dissident epidemiologist, his book, and see Dr. Robert S. Mendelsohn's humorous critique of Modern Medicine (online). The DOH/CDC has an impossible burden of proof for all claims related to a virus and vaccines. The immutable fact that obvious environmental factors were omitted makes its claims MOOT. The mainstream will not release data, nor enter into debate, so commonsense conversation is the citizen's option. The Internet enables this. Wake up, and talk it up. 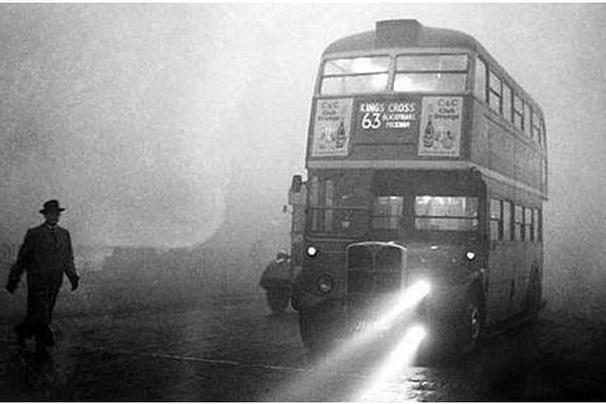 The British government, tried to pass off The Great London Smog of 1952, as if it were an INFLUENZA epidemic. They called it "The Great London Fog". They tried hard but coal smog was overwhelmingly obvious as the cause. The government eventually admitted it was lying. 6,000 Londoners died and 25,000 later qualified for benefits related to illnesses and disabilities. Devra Davis has researched and written an excellent article in History Today. 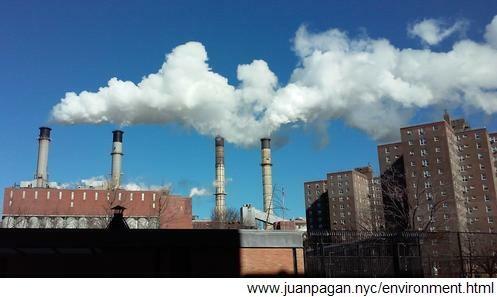 New York DOH and CDC routinely avoid environmental factors. I researched many school epidemics during the H1N1 "virus" epidemics of 2009. 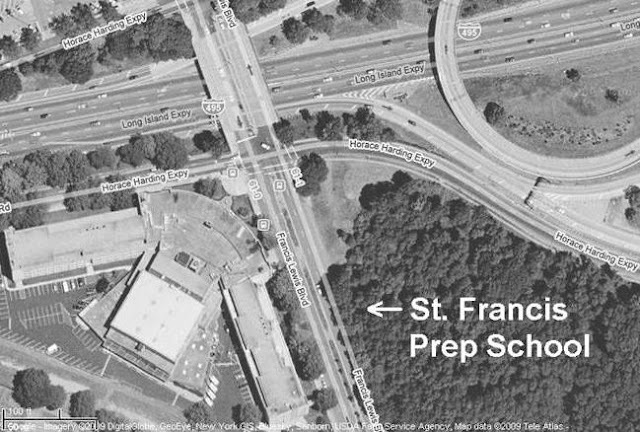 Mainly I focused on St. Francis Middle School in Queens, located next to the Long Island Expressway. Environmental studies were avoided by use of virus drama. 12 hours of polluted air flowed unwavering, directly into the school from the expressway, before the morning the school opened. As the children began entered the school they began vomiting within 30 minutes. A DOH team arrived in the afternoon and declared a virus emergency without toxicological tests (according to personnel interviews). The DOH online forum, dedicated to answering the public questions re this epidemic, closed immediately following my gentle inquiry regarding environmental tests. The following aerial photo shows St. Francis adjacent The Long Island Expressway, waiting for epidemic conditions. The following is the same photo with computer-generated wind vectors representing wind speed and direction data. 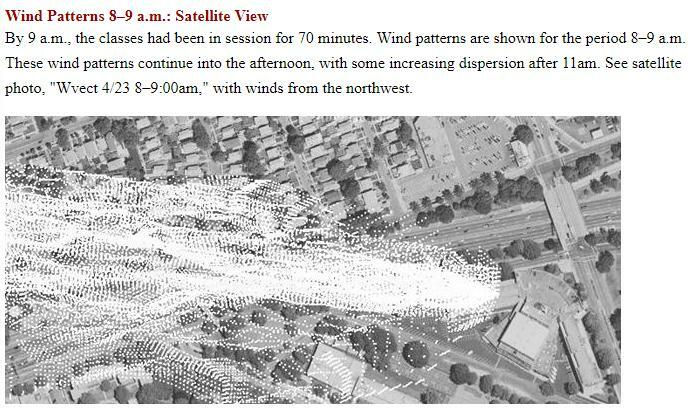 This shows very uncommon wind patterns focused upon the school, arriving from expressway after flowing down through the lanes, accumulating exhaust. Disclaimer: The author's work consists of critical hypotheses from an environmental perspective. For medical advice see a trusted medical professional without delay. Copyright 2019 Jim West / harvoa, All rights reserved.